Software tools help streamline transactions, reduce burdensome paperwork and decrease the likelihood of human error. Software has its limits, though, and finding them usually doesn’t take too long once you are using it in the real world. Smart business practice involves recognizing nuances and such nuances are lost when technology replaces HR management completely. Humans still have three qualities that software cannot replace – flexibility, creativity and the ability to provide personalized service. Consider how much of all three are needed in the process of managing people. In an article by Bloomberg Technology, Mercedes-Benz announced that it was in the process of “firing” its assembly line robots. The company’s outdated automation was unable to be flexible enough to meet consumer demand for choices and customization in their products, nor was it able to compensate for the unpredictability of the factory floor. Without the ability to adapt to complex situations, the technology was ineffective without human collaboration. But when discussing service, especially when that service requires customization to unique circumstances and needs, there is only so much a computer program can do. It can’t advise best practices in a changing regulatory landscape, and it can’t use years of management knowledge and expertise to help businesses find the answers to complex operations and HR problems it might face. When guests expect customization, the best combination is software plus people. When guests expect customization, the best combination is software plus people. Whether it’s payroll, benefits or regulatory compliance, simple mistakes can have far-reaching consequences. When you combine the human element with software, the result is effective technology managed by expert decision makers who know the potential pitfalls before they occur. While a software program can analyze data, it can’t offer guidance on regulatory questions, solve complex problems, help you hire the right people or provide the level of service needed to ensure a company is set for present and future success. There are solutions beyond SaaS that involve adaptable, creative experts, who can guide your HR practices and responsibilities based on what works in the real world. SaaS still requires the proverbial Rube Goldberg machine of internal staff and all that comes with it (e.g., attendance, vacations, turnover, management headaches, unpredictable expense and overall management attention that could be more effectively focused on making widgets or providing customer service). A superior solution is one in which a company enjoys all the benefits of robust HR technology, along with a streamlined HR organization and the cost advantages that come with it. To make that work, it is imperative that HR managers and the C-suite find a system that doesn’t compromise on the three elements of flexibility, creativity and personalized service. 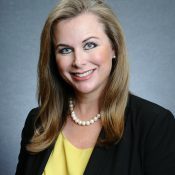 Courtney Allen is Restaurant Management Practice Leader at Adams Keegan, a national HR and employer services company. Among the firm's areas of specialization are restaurant management and hospitality.